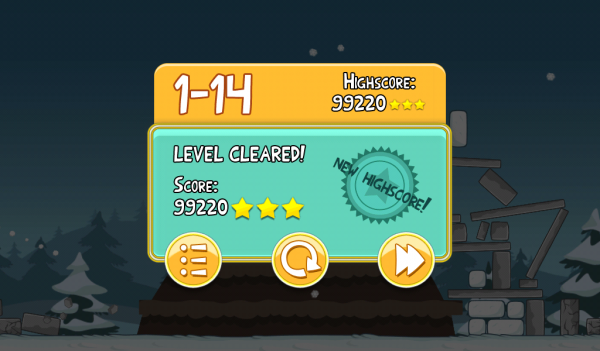 Angry Birds Seasons Day 14 – High Scores? Day 14 of Angry Birds Seasons took me a little longer than expected, but I eventually got that elusive 3 star rating. Now, please feel free to top me!